RUSH: On Friday, the House Intelligence Committee released a new report that featured a whole bunch of redactions being viewable. There's been an argument -- there's been a fight -- between the House Intelligence Committee and the Department of Justice and the FBI for information and data relating to all of their investigations and Flynn and the whole kitchen caboodle. And the FBI, the DOJ have submitted -- they've responded to some requests -- with a lot of heavily redacted documents. But Devin Nunes persisted, pressure was applied, and on Friday we had a disclosure of previously redacted sections of the intelligence community's Russia report. And, folks, it was a bombshell, and I'll tell you why. The FBI and the DOJ said the reason for the redactions originally was to protect national security and the usual excuses. (impression) "Protect national security and protect people who may not be involved in this but have been named here. We'll just protect of their identities and so forth." Just total BS. Do you know what the redactions were? The redactions were the FBI and the DOJ covering up what they had done to protect themselves, primarily in the pursuit of Michael Flynn! They had redacted pretty much all of the information, data, memos and so forth that really gave up the ghost in terms of what they were doing. It had nothing to do with national security. It had nothing to do with legitimate reasons for keeping information private. It was strictly to protect themselves. To protect their bad judgment. To protect the scam that they were engaged in in this entire Russia investigation. They redacted information that would have been helpful to Michael Flynn. Andy McCarthy submitted a column in National Review last night. It was published today. It's quite lengthy, and if you want the lowdown on every smidgen detail of this, I would strongly suggest that you read Andy's column today at National Review Online. I'm just gonna give you some highlights and overall, like, headline material. The basic premise here is that everybody that talked to Michael Flynn and everybody who wrote memos after the interview of Michael Flynn was convinced that he had not lied. They've got Comey telling two different stories under oath about this. They've got McCabe dead to rights! I mean, it is outrageous what has gone on here. Flynn has pled guilty to something that nobody in the FBI thought that he did! They did not think that he lied, tyhe agents that interviewed him -- one of which was Peter Strzok -- and the way that interview happened. It was in the White House. Flynn was in the White House, or Flynn was somewhere that he was supposed to be during the transition. He was somewhere where the team was and he got a note that somebody at the FBI wanted to talk to him, and Flynn thought that it was a standard, ordinary, run-of-the-mill conversation that he would have with the FBI as any person in his position would be. He's the national security adviser getting the new president ready to assume office later in January. It turned out that was an actual interview where they tried to get Flynn to lie and trip up. He was not even told that's what it was -- and despite even that, they didn't think that he had lied! Michael Flynn got railroaded, and the redactions from the DOJ and the FBI -- the material they submitted to the House Intelligence Committee -- now has been unredacted, and it's plain as day to see, and it is truly outrageous. And if these people at the FBI and the DOJ are burying their own judgment, burying their own information that was helpful to Flynn -- if they're willing to do that -- think they might bury information regarding tarmac meetings, disruption of emails, misleading FISA courts, whatever. This is another thing. "If you just landed from Mars, you would get the idea that there's this guy with a permanent job to investigate the duly elected president and to sit in judgment of him every day and leak information about what you found." In other words, the president's not the president. This guy -- in this case, Mueller. This counsel, special counsel, that's the guy that has the power. That's the guy determines whether or not the president is legit and stays in office. And why is that? Because the way things have been structured, it looks like Mueller is the guy with the ultimate power in Washington, and Trump is merely a subordinate. And, of course, as Mr. McCarthy points out so cleverly in his piece, the Constitution does not mention the Department of Justice. There is no DOJ in the U.S. Constitution. You know who created it? Congress! Congress created the DOJ. Congress created the court system. As such, they have review authority over it! And the president runs the executive branch and is subordinate to no one there. Not Mueller, not Rod Rosenstein, not anybody. So there needs to be a question asked. The president of the United States can authorize the declassification of anything he wants at any time. These redactions have been allowed to exist for months while the case against Flynn was built and he was charged -- or he copped a plea because they were bankrupting him. There's nobody in the FBI who thinks that he lied in any of the interviews with him! Remember, we've always thought that the NSA, the DOJ, whoever, was surveilling of Russian ambassador, Kislyak, and that Flynn was picked up inadvertently because we're surveilling the Russian ambassador like we monitor all phone calls of foreign agents, ambassadors and so forth. It's standard practice. The possibility... After these redactions have been unredacted, the possibility exists is that Flynn in fact was targeted and was surveilled on purpose. This may go deeper than any of us know, but the point is the president of the United States could have seen to these redactions being unredacted weeks ago, months ago. He runs the Department of Justice. He runs the FBI. The reason that he hasn't I think are twofold. I think his lawyers, his team of lawyers up until now -- maybe including the ones that he's got now -- are truly on the defensive and are scared to death that if Trump exercises any of his legitimate constitutional authority that they're gonna start shouting, "Obstruction of justice! Obstruction of justice!" The president of the United States cannot obstruct justice by executing his constitutional duties. He simply cannot. Firing James Comey is not an obstruction of justice. Telling the FBI and Rosenstein and Sessions to unredact all this stuff weeks ago, months ago, would not have been obstruction of justice. But Trump's lawyers, I think, are convinced that a public media case could be made that Trump was obstructing and do Trump damage in terms of public opinion -- which, of course, is the objective here. It always has been. It's to drive Trump's public approval numbers, presidential approval numbers way, way down because that's the only way they're gonna be able to get rid of him if they can't at the ballot box. A president cannot be indicted. It's Justice Department guidelines and rules: He cannot be indicted. It's an open question whether he can be forced up to answer a subpoena, but indictments, no way. The second reason -- and I may get in some hot water for this. I think this is the White House calculation, that there is a political plus in being seen as a victim of this deep state, of this cabal that's out to get him. 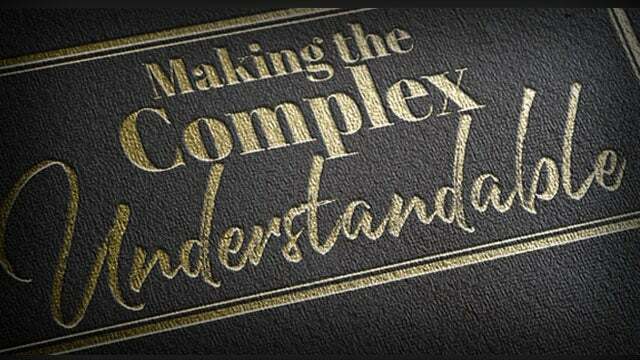 But in the process, he's allowing this circumstance I just described. If you land here from Mars, you think Robert Mueller runs this country -- and behind him, Rosenstein -- when neither of them do, and Trump could get rid of any of 'em any time he wants. I know, "political fallout." But I'm just talking about legally, constitutionally, Trump can get rid of whoever he wants. There is no obstruction of justice when you... If it would come down to impeachment or whatever, there would be no obstruction of justice by simply executing his constitutional duties. And there certainly would be no obstruction of justice if Trump's approval numbers are not down in the twenties or thirties 'cause they're not gonna make a move to impeach him anyway. We've got sound bites coming up where you're gonna hear more and more Democrats worried as they can be about all this talk about of impeachment. Something's happened out there. I think it's Trump's approval numbers moving up. Something has happened. The left is getting a little bit squirmy, if you will, about this whole notion of impeachment. And more and more of them are urging Democrat candidates to drop it, don't talk about it. Their internal polling on it has got to be disastrous, because the people that elected Trump are in no way anywhere near ready to abandon him. 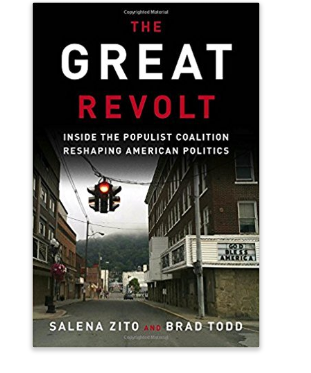 Salena Zito's got a book coming out tomorrow that's gonna explain exactly why that is. She's the only journalist that has taken the time to actually get to know the people responsible for electing Donald Trump, who they are, where they come from, who they used to vote for, why they voted for Trump, why they're sticking with Trump. Her book is out tomorrow. I'll get to the title here in a minute. The point is that Trump could end this and could have ended this. He could have seen to it the House had what it wanted weeks ago by ordering whatever was redacted to be unredacted. But I'm sure his lawyers are scared to death that if he does that, that he's opening himself up to the perception of obstructing justice, when it's in no way obstructing justice. (interruption) Yeah, The Great Revolt. That's Salena Zito's book. It comes out tomorrow. The Great Revolt -- and, folks, it is fantastic, I might add. But this is really an important point here that the White House, I'm sure, envisions value in being seen as a victim here, in terms of keeping the bond, keeping Trump's voters tightly bonded or glued to him. RUSH: Now, as I try to make the complex understandable, let me go through this from top to bottom again in terms of structure. The House Intelligence Committee has been requesting information from the FBI and the DOJ in its investigation into the investigation. House Intelligence Committee Devin Nunes, his gang, they've been looking at the way the investigation has been handled. They have requested all kinds of stuff, and the DOJ has stalled. The FBI has stalled. They've said (summarized), "We're not gonna send it to you. You don't deserve it! Just 'cause you want it doesn't mean you get it. We've got important stuff to do here." Well, Congress created the DOJ. Congress created the FBI. Congress has oversight. The president runs all of that. The Congress is entitled to whatever they want to see here -- and the president, by the way... (chuckles) It would not be obstruction of justice for the president to order the DOJ to turn over what Congress has been requesting. That would not be obstruction. This stuff could have been dealt with a long time ago if Trump would have simply decided to tell the DOJ and the FBI, "Let 'em have it." Trump runs the DOJ. Not Mueller. Not Rosenstein. Trump has not done so, I'm convinced, because his legal team inside the White House thinks that that would be seen as obstruction of justice, and so he's staying out of it. I think there's another component. I think Trump loves... When I say "Trump," the White House, the entire team loves Trump being seen as the victim. They think that Trump as the victim of these big, big, bad deep state guys will solidify the relationship he has with his base. I have no doubt that this is the case, 'cause Trump could have forced this release weeks ago, months ago. But then there wouldn't be any need for the tweets about how unfair the witch hunt is and all of that. Now, this does not involve Mueller per se; this is the DOJ and the FBI. And these redactions that were released on Friday, eventually the DOJ and the FBI complied simply because of pressure being brought to bear. And so they released some information that caused the House Intelligence Committee to reveal on Friday a report that had unredacted some of the redacted information. And what was unredacted blew a bunch of things to smithereens, including the fact that Michael Flynn has been railroaded. What was originally redacted was not damaging to national security. It wasn't damaging to other cases going on. The FBI and the DOJ redacted things to basically cover up their bad judgment and their mistakes that they had made during the course of this investigation of Flynn per se. But it's broader than that because it also includes Comey. So they simply were redacting things to protect themselves from being discovered and seen for what they had done. Now the report has released all of this, and we find out that there isn't a single person who interviewed Michael Flynn who thought he had lied. And yet there he is pleading guilty to that very charge from Mueller. So what the heck is going on? Why did Flynn plead guilty to something he didn't do and that nobody in the FBI thinks he did, and was the judge who accepted the plea in the case told that nobody in the FBI thought Flynn had lied? Was Flynn told -- were his lawyers told -- that nobody in the FBI thought he had lied? This is why the sentencing of Flynn has continually been delayed and why there's a new judge in this case. 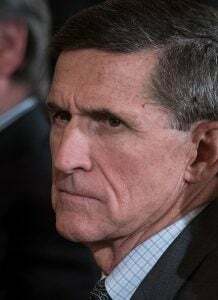 Flynn pled guilty to protect his family, to save whatever was left of his estate. 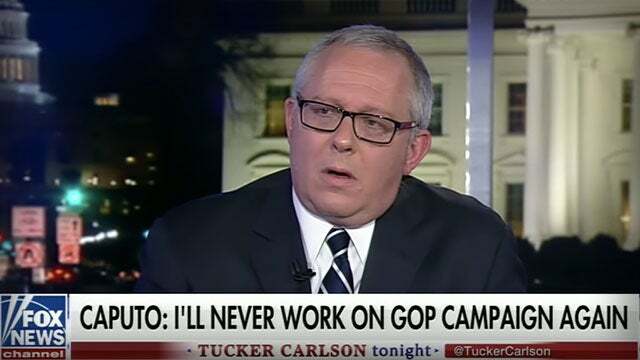 You know, he's like Michael Caputo. He's had to put his house up for sale. He's had to just stop the battle here 'cause he can't afford it. So that's what has happened. That's what the unredacted information is, and these unredactions show that, once again, James Comey (chuckles) is not to be trusted. I touched on this briefly in the opening hour. The unredactions in the Friday release of the House intel report show that Comey has been lying to the American public during his book tour when in his interviews he's claimed he did not tell the House Intelligence Committee that the agents who interviewed Flynn didn't think he lied. (impression) "That's not my recollection. No, I -- I -- I don't think... No, I -- I -- I don't think anybody told me. No, no, no. I'm not aware. I don't believe that's the case. I don't recall having... No." It looks like the FBI was stonewalling on these redactions simply to protect themselves -- and, to a certain extent, Comey. So if that's the case, what other things are being redacted to protect Comey and the other Obama administration holdovers? And, folks, it isn't a small point, because we now have Comey and McCabe on record saying the FBI agents do not think Flynn lied, and one of those agents is Peter Strzok. The whole way the interview was setup was subterfuge. Flynn was being interviewed -- officially interviewed -- and didn't know it! He thought he was engaged in a national security conversation as the president's national security adviser during the transition. He had no idea that they were actually conducting an interview based on what they thought he had said to Kislyak. You remember what this is about, if I may hopscotch backwards here. This is about the fact that the FBI, the DOJ, Mueller, all of these people were trying to prove that Flynn had promised a quid pro quo to the Russians -- and they alluded this, even though it didn't happen. 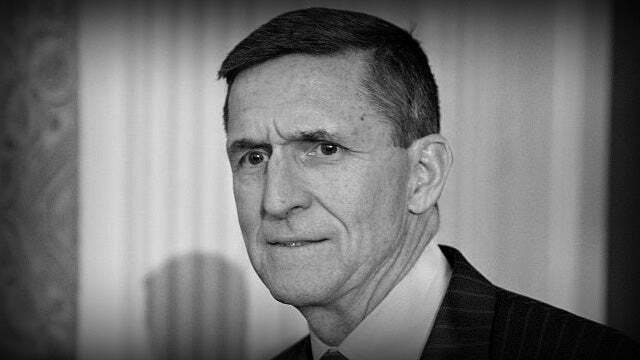 There were leaks from the deep state all over the news in December of 2016, January of 2017, that Flynn had privately told the Russian ambassador, "Just be patient. When Trump's in office, we're gonna take back all these sanctions, and we're gonna get rid of whatever Obama did. But you can't tell anybody." They actually leaked that that's what Flynn had talked with the Russian ambassador about, and he did not. He did not lie when he said that that's not something that came up. He did mislead Vice President Pence about something (which still is somewhat mysterious), but he did not lie to the FBI. And yet he has been railroaded into copping a plea to justice that. And when you boil all this down, they've got even less than we thought they had. They don't have anything on Flynn. They don't have anything on Trump. RUSH: We got Fritz from Ft. Lauderdale. Fritz, I'm glad you called, sir. You're up first today. How you doing? CALLER: I'm good Rush. How are you? CALLER: Regarding the Flynn railroading. Perhaps an alternative view of this could be that, as I remember, he was being investigated for issues regarding Turkey and hundreds of thousands of dollars of payment and other issues. I'm very sympathetic to Flynn and his situation, and maybe both sides agreed to plead guilty to lying to the FBI as a fig leaf so that he could turn state's evidence and not have all those other issues -- Turkey, the payments, or whatever else they were investigating -- come up. Not that they were railroaded so much as it was by mutual agreement. 'Cause I notice we don't hear from Flynn or his attorneys with regard to this now. RUSH: Well, we have had a change of judge in the case, and I think it... Look, all I'm telling you is... You know, you want to bring in hypotheticals? Feel free to do it. I'm telling you what we know. 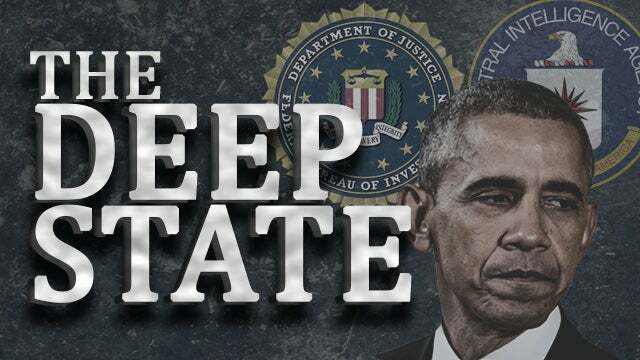 Michael Flynn has pled guilty to lying to the FBI when nobody at the FBI thinks that he did, and the FBI covered up that fact by refusing to reveal that information to the House Intelligence Committee looking into all of this deep state activity. So over here we have the FBI and the DOJ pursuing a guy for a crime they know that he didn't commit that they will not reveal that they knew he didn't commit. And in the process, Michael Flynn has been bankrupted, or close to it, and has been forced to accept this plea to stop the bleeding. And we've only learned now that none of this had been necessary. So that is fact. You want to take this and say, "Well, maybe Flynn did know. Maybe they did tell Flynn that they know he didn't lie. We just have to wait and see when this all pans out. But facts are where I like to keep this for now.